North Beach epitomizes the phrase land of pleasant living. With its wildlife refuge in the form of the tidal marshlands creating beautiful landscapes across the townscape and 7 blocks of beach front making up the eastern border this beautiful little town has a lot to offer a growing family or someone who is simply looking for a community to belong to. A half a mile long boardwalk and public fishing pier this town has many amenities to offer its residents including free basic cable television for all residents and free beach access in the summer. 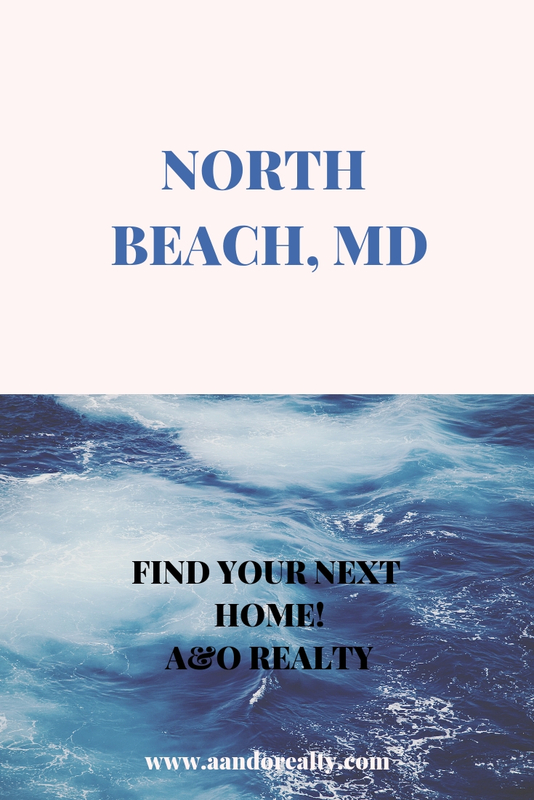 If you are looking for a beautiful community with pleasant historical roots, our Chesapeake Beach realtors would be more than happy to show you around all the real estate opportunities that are waiting for you. Please contact our realtors immediately if you have decided that you want to get started on the process of choosing or buying a home. We are ready to offer all the help you need. North Beach was built nearly 120 years ago in conjunction with its sister community Chesapeake Beach, while the original buildings of North Beach Victorian cottage style no longer exist, the community aims to maintain that style amongst its new builds, meaning when you purchase a home in North Beach you get the beauty of the victorian home with the 21st century materials. Washington, DC is a 40 minute to an hour drive away, for those looking to commute by bus for work there are multiple pick up and drop off times within the area. In addition, Baltimore is an hour drive in the opposite direction. Whether you are itching to bask in our wonderful nations monuments or wanting to enjoy the buzz of a vibrant metropolitan city you are never too far away in the beautiful town of North Beach. This little town has everything you could desire when cooling off from a long day at the Beach, whether its ice cream, yogurt, or a shake there is a place that specializes in your cool down treat of choice. Looking to celebrate a family member for a birthday or big accomplishment there are a number of places to chow down and enjoy. Every Friday between May and October, explore the local area shops and pick up fresh produce from nearby farmers at the farmers market, and let your kiddos burn off steam on the dance floor. With a half mile long boardwalk and public fishing pier, this little town is very active and all about family and community. An active boys and girls club and two park locations available in the 7 block long beach coast this place is perfect for a growing family looking to settle away from the big city. In addition, to summer farmers markets the community plays host to a number of annual holiday events and puts on regular movies on the beach for kids and adults alike to enjoy. The little town of North Beach is predominantly a commuter town, the majority of the area residents commute to work in the surrounding areas typically to D.C. However, there are also a number of small business owners, and retired snow birds who pack it up down to Florida every winter. Ultimately, you move to North Beach for the small-town charm and beautiful nature views. If your interested in finding a home in North Beach, please contact our realtors here at A&O Realty, we will be happy to show you around.